Millennials are often accused of living for the present and wasting their money on smashed avocado. So it may come as a surprise that younger Australians are at the vanguard of a growing movement committed to the old-fashioned virtues of thrift and saving, but with a modern twist. Whereas the mantra of the Baby Boomers in the 1960s was ‘turn on, tune in, drop out’, their adult children also want to leave the rat race, but they want to do it with a substantial nest egg to allow them to pursue their dream lifestyle. The new mantra is ‘Financial Independence, Retire Early’, or FIRE for short. 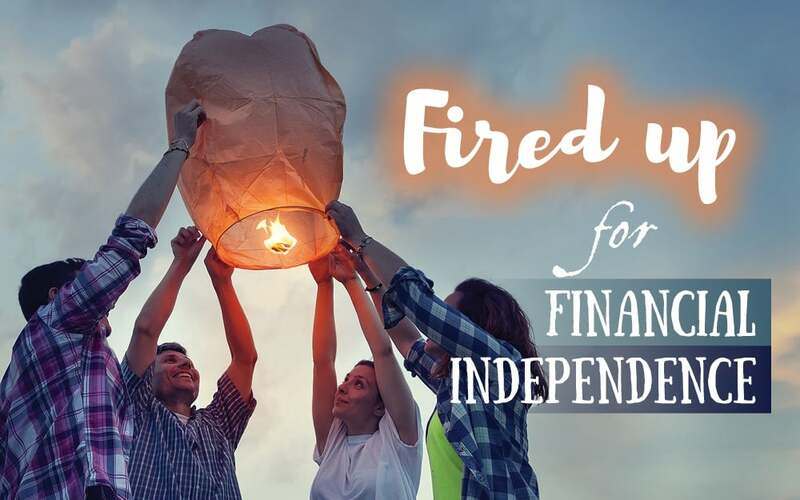 The fundamentals of the movement come down to three lifestyle changes – living frugally, increasing income and investing the surplus – that they believe will help them achieve FIRE. The godmother of the FIRE movement is Vicki Robin, the author of Your Money or Your Life. Robin suggested to her readers that they consider the ‘hours of life energy’ a purchase entailed. For example, a person earning $60,000 a year who is contemplating buying a $30,000 car should ask themselves whether owning the vehicle is a reasonable trade-off for six months of their life. Robin’s book came out during the pre-GFC consumption frenzy and failed to have much impact. However, over the last decade or so, increasing numbers of individuals and couples in their twenties and thirties have embraced its core message about stepping off the consumerist treadmill. FIRE blogs, websites and books are largely devoted to money-saving tips such as trade your car for a bike, be content with fewer, cheaper items of clothing and forget about eating smashed avocado on toast at cafes. FIRE enthusiasts are also highly motivated to increase their income by working smarter, studying or starting a side business. When it comes to investing surplus income, they are also actively engaged with a preference for income-producing assets such as property and bonds and dividend paying stocks. It’s not clear what has drawn so many Millennials to the idea of achieving financial independence earlier in life than their parents. It’s possible that the GFC had the same kind of impact on them as the Great Depression had on their grandparents. It’s also conceivable Millennials have less interest in flaunting status symbols than preceding generations. Or it could simply be the case that Millennials value freedom and autonomy and want to escape the rat race asap. While its adherents skew towards the young, people of any age can embrace the FIRE philosophy. Many older Australians with modest super balances are doing much the same things as FIRE devotees, albeit out of the fear of having to keep working past retirement age rather than the hope of quitting their job in their thirties. Despite its recent arrival, the FIRE philosophy is essentially a modern makeover of some timeless financial wisdom. Work hard, spend less than you earn and invest the surplus in assets that will grow your wealth and produce income when you retire. It could be argued that 26 years without a recession and access to easy credit has made many Australians too relaxed about living within their means. If that’s the case, the FIRE movement could be the spark we all need. If you’re interested in building wealth to enjoy a financially independent future, give us a call.